Everyone wants to feel good, enjoy health and have the choices that come with financial independence. At LifeVantage®, we can help you achieve these goals. There has never been a better time to begin your LifeVantage® business. Those who see the potential and act now will benefit from our continued growth. 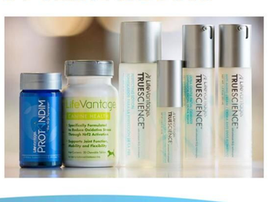 But here is what makes LifeVantage different: distributors have the exclusive right to share Protandim®, the Nrf2 Synergizer®, which is protected by patents and validated by peer-reviewed science. LifeVantage has a compensation plan unlike any other because of the associated bonuses and payouts percentage. Distributors who take advantage of this compensation plan, along with the timing of company growth and the foundation of science, will change their lives and the lives of others for the better.